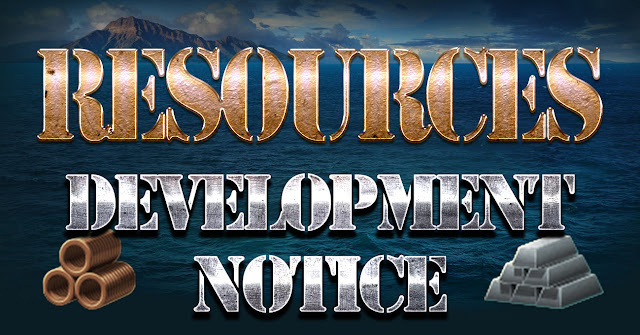 Home » cruiser , destroyer , development , ranked , Resources , warning , world of warships » World of Warships Devs - Notice on New Resources. A little while ago in our dev blog we’ve announced adding two new resources: “molybdenum” and “copper”. A lot of players in the comments were concerned about us being too involved with the game's economics but not the gameplay. According to these players opinions there is a chance that in the future the game could have too many resources and it would be impossible to sort them out. We would like to clear the air and tell you why it’s necessary to have these two new resources. Technically and according to implementation, molybdenum and copper are resources, but the fact is that it’s more like a player’s skill representation. It’s possible to get them for winning in Typhoon league (molybdenum) and for reaching 1st rank (copper). Players who constantly get to the 1st rank and battle in Typhoon league will now be able to show their skill by highlighting Flint, Black or Stalingrad with unique camouflage which you can buy for copper and molybdenum. These resources are impossible to convert in any other one. For every passed ranked season, where players reach 1st rank or for clan season, where players have 30 victories in Typhoon league, 1 copper or 1 molybdenum will be given respectively. Players who have already got camouflages Mustang for Flint and Crocodile for Black, will receive 6 units of copper less.